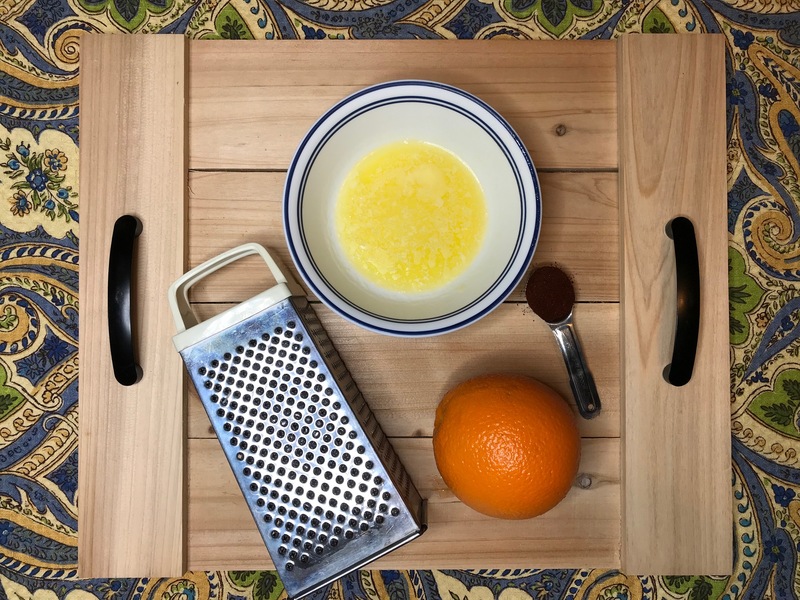 This post is sponsored by Savory: Fast, fresh and easy, but all thoughts and ideas are my own. This winter has been a COLD one. It’s the kind of weather that makes everyone want to cuddle up under a blanket and stay inside all day. It’s also the type of weather that causes everyone, young and old, to suffer from serious cases of cabin fever. 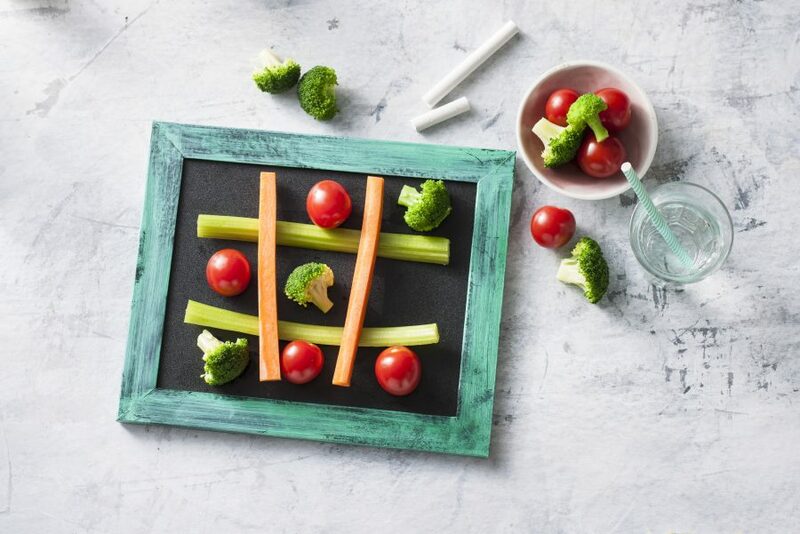 As a mom, I’m often looking for ways to keep everyone (including myself) engaged and fight the boredom of the winter months. Savory is an awesome food and entertaining magazine, and I was excited to check out their digital exclusive, Snow Day Survival Guide, available on SavoryOnline.com. It’s a great resource for families of all ages, shapes, and sizes. 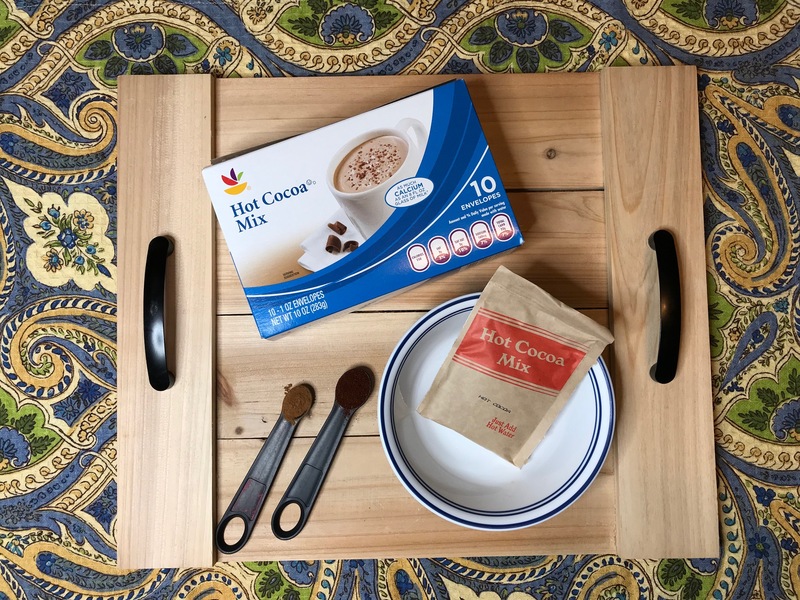 The Snow Day Survival Guide is full of recipes and new ideas for hot chocolate, grilled cheese (my favorite! ), slow cooker classics (comfort food! ), plus crafts, games, and more to combat cabin fever. 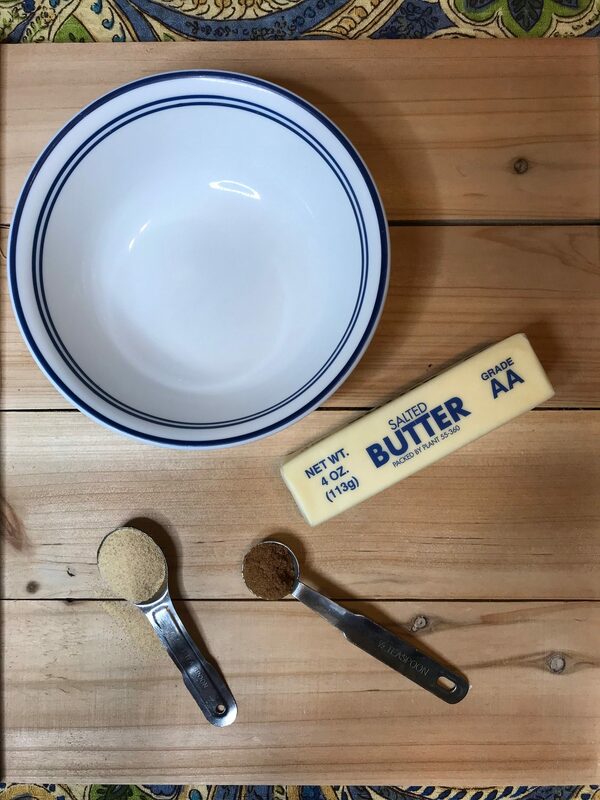 I decided to try our own boredom-busting activity this week when the kids had a day off school. It was a total hit and SO simple. We love watching movies together, and what better way to watch movies than to cuddle up under a big blanket together with some popcorn? 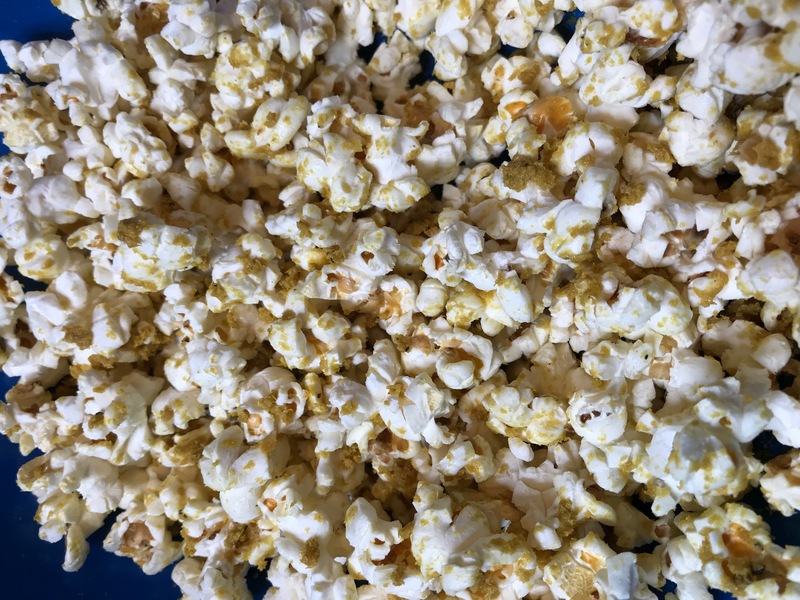 I made four of the flavored popcorn varieties from the Snow Day Survival Guide, but there are 10 different flavor varieties in the magazine. I can’t wait to try the other six! 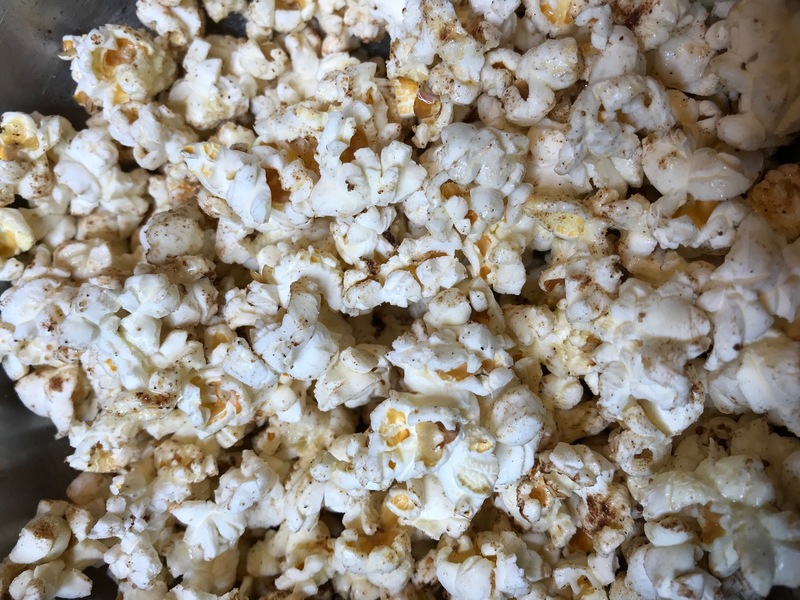 Mix the above seasoning ingredients in a small bowl and toss with a bag of popped plain or lightly salted popcorn. Use one popped bag per seasoning recipe. 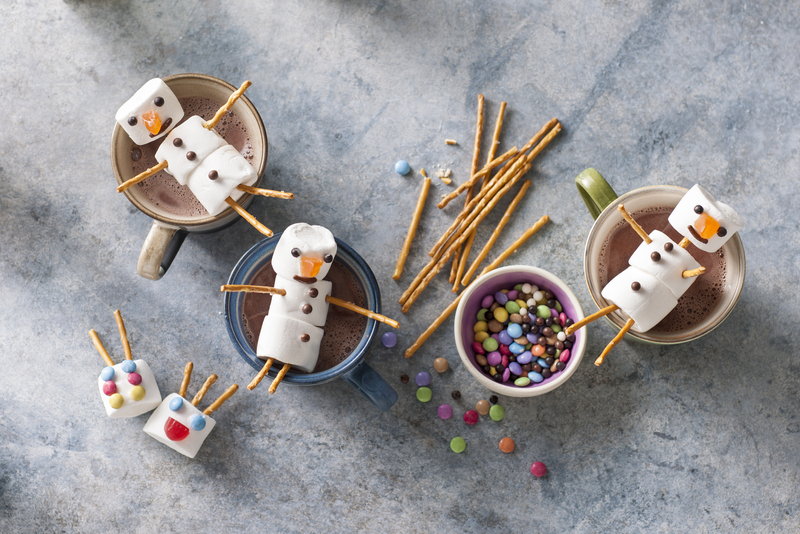 Make a few varieties and enjoy while watching a movie together! 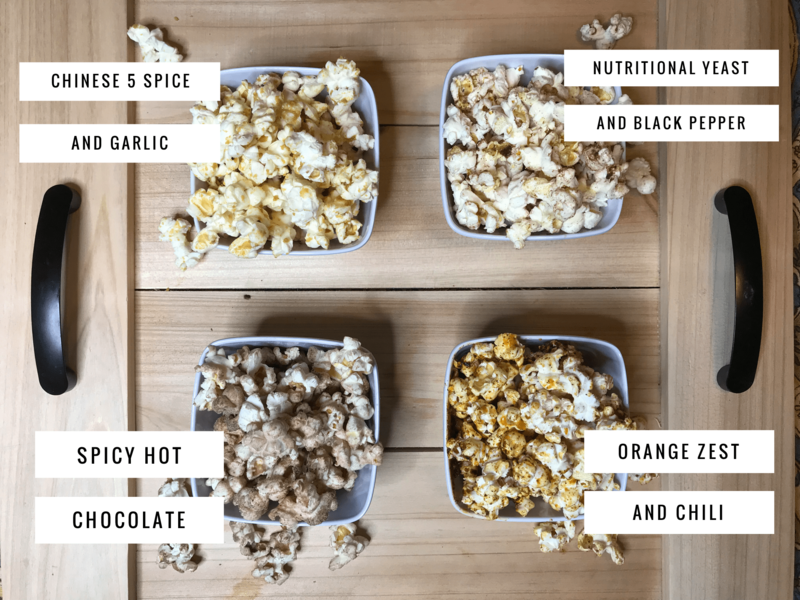 You can find all 10 movie marathon popcorn blend recipes in the Snow Day Survival Guide! 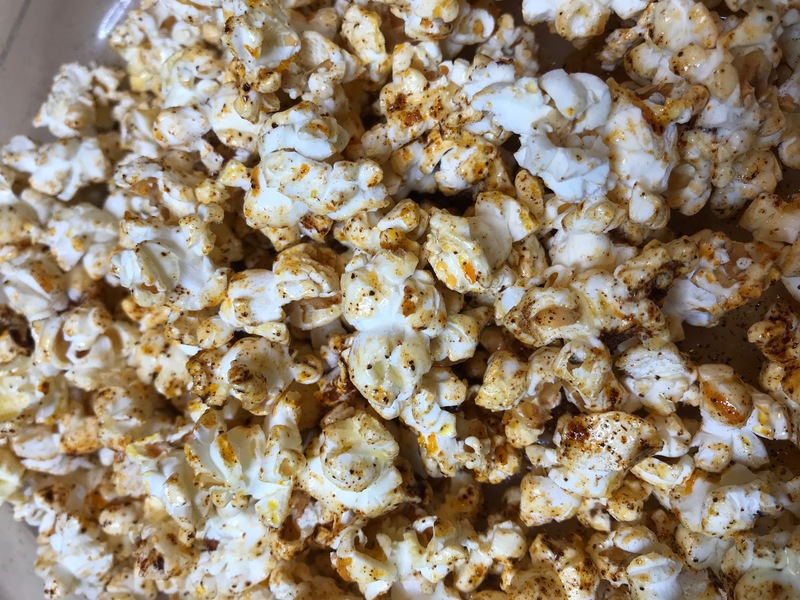 My husband loved the Chinese 5 Spice and Garlic Popcorn. He couldn’t get enough! 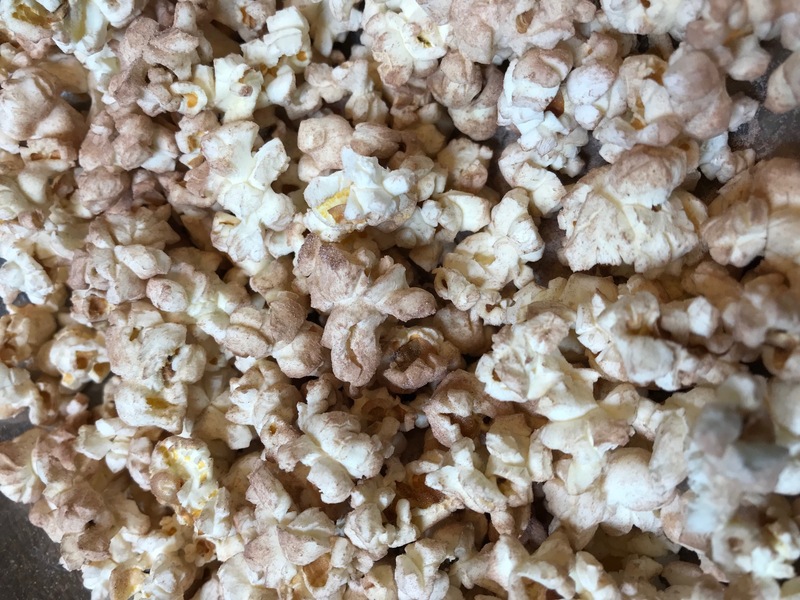 My youngest son, who LOVES to drink hot chocolate, was naturally drawn to the Spicy Hot Chocolate Popcorn. 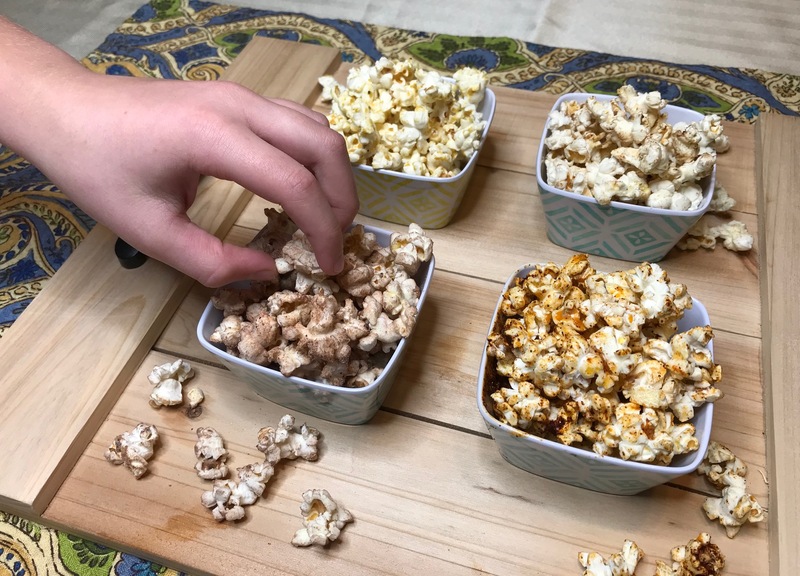 I was a fan of the Orange Zest and Chili Popcorn. Just a unique and bold flavor! 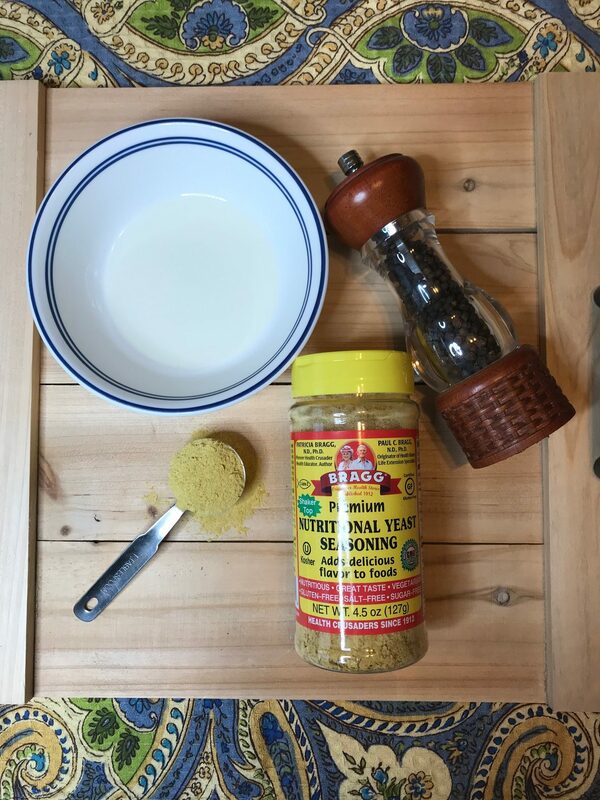 We also loved the Nutritional Yeast and Black Pepper Popcorn, and my youngest daughter loved learning that it was vegan! Which variety would you like to try? I have never had popcorn flavors like this before. These sound so good.